This tutorial resume common steps to setup a basic connection for a Raspberry Pi board to the net using SSH, VNC and video streaming from a camera module. Most of this information is broadly available on the internet with this article being a review to easy and particular implementation. The case represent a kilo-class submarine totally submerged under a water medium. 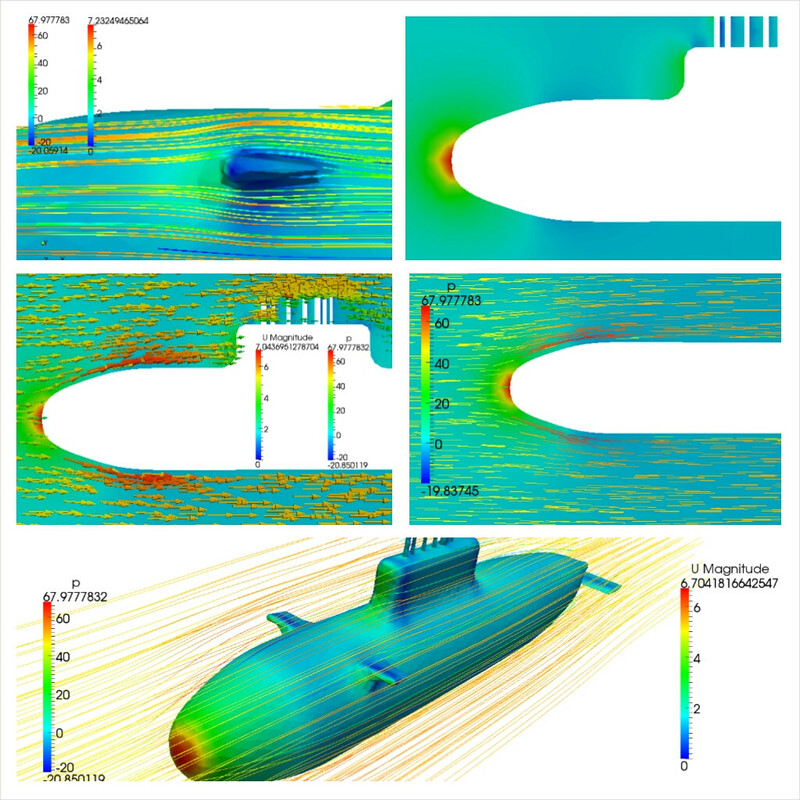 The interest data for this tutorial is the flow path over the submarine shape and how the water interacts, the pressure points on the structure and the turbulence generated. Read more about Pressure regulator CFD OpenFOAM analysis. LM-Plot it's a simple and easy to use program intended to be a useful tool for electronic and robotic projects where common data analysis is required on real time samples, using the serial port to catch data the user choose to plot immediately the variable or record the data streaming into a permanent file. The program also allows to configure some plot settings in order to improve understanding, presentation and data storing for later interpretation. The bone is not an uniform material like others usually known on finite element analysis like metals and plastics, this one its compose by layers of distincs materials and diferent propierties.